This qualitative case study used Wenger’s (1998) communities of practice (CoP) framework to analyze how the ongoing electronic learning community (eLC) process at an established state virtual high school (SVHS) supported online teachers in building relationships with online students. Lave and Wenger’s (1991) concept of legitimate peripheral participation (LPP), which describes the participation of new CoP members as they move toward full membership, was used to examine the participation and perspective of new eLC members at SVHS. Elements of LPP were evident in case study data, particularly in the way the eLC process granted new members access to resources and to the practice of other members. Other elements of LPP were less visible in the eLC process, such as becoming and conferring legitimacy. Linton, J. (2016). Electronic Learning Communities as a Support for Building Relationships with Students in a Statewide Virtual High School. Journal of Online Learning Research, 2 (4), 419-445. Waynesville, NC USA: Association for the Advancement of Computing in Education (AACE). Retrieved April 20, 2019 from https://www.learntechlib.org/primary/p/172458/. Barbour, M.K. (2016). Virtual education: Not yet ready for prime time? In W.J. Mathis & T. Trujillo (Eds. ), The Test-Based Education Reforms: Lessons from a Failed Agenda (P. 407-429). Charlotte, NC: Information Age Publishing. Bernard, R.M., Abrami, P.C., Lou, Y., Borokhovski, E., Wade, A., Wozney, L., Wallet, P.A., Fiset, M., & Huang, B. (2004). How does distance education compare with classroom instruction: A meta-analysis of the empirical literature. Review of Educational Research, 74(3), 379-439. Borup, J. (2016). Teacher perceptions of learner-learner engagement at a cyber high school. The International Review of Research in Open and Distributed Learning, 17(3), 231-250. Cavanaugh, C.S., Barbour, M.K., & Clark, T. (2009). 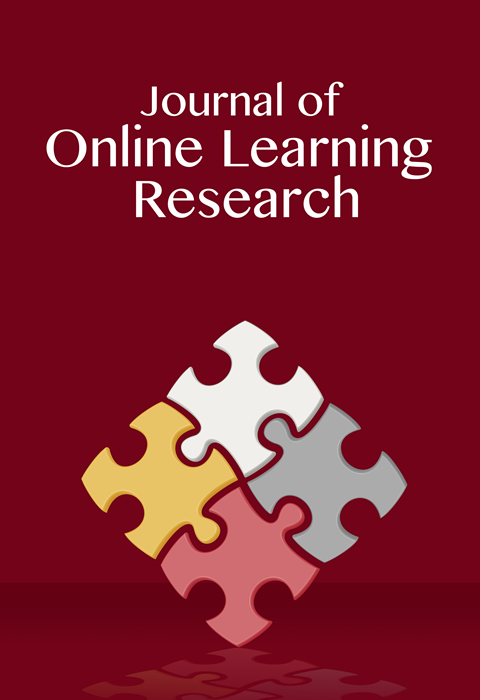 Research and practice in K-12 online learning: A review of open access literature. International Review of Research in Open and Distance Learning, 10(1), 1-22. DiPietro, M., Ferdig, R.E., Black, E.W., & Preston, M. (2008). Best practices in teaching K-12 online: Lessons learned from Michigan Virtual School teachers. Journal of Interactive Online Learning, 7(1), 10-35. Eliason, S.K., & Holmes, C.L. (2010). Reflective practice and inquiry in professional development for online teaching. Journal of Online Learning and Teaching, 6(2), 454-465. Garrison, D.R., & Anderson, T. (2003). E–Learning in the 21st century: A framework for research and practice. London: Routledge/Falmer. Hawkins, A.; Graham, C.R., & Barbour, M.K. (2012). Everybody is their own island: Teacher disconnection in a virtual school. The International Review of Research in Open and Distance Learning, 13(2), 123-144. Hawkins, A., Graham, C.R., Sudweeks, R.R., & Barbour, M.K. (2013). Academic performance, course completion rates, and student perception of the quality and frequency of interaction in a virtual high school. Distance Education, 34(1), 64-83. Herring, L.C., & Clevenger-Schmertzing, L. (2007). Online high school world history: Does interaction make a difference? Social Studies Research and Practice, 2(3), 419-437. Holmes, A., Signer, B., & MacLeod, A. (2010). Professional development at a distance: A mixed-methods study exploring inservice teachers’ views on presence online. Journal of Digital Learning in Teacher Education, 27(2), 76-85. Journell, W., Beeson, M.W., Crave, J.J., Gomez, M., Linton, J.N., Taylor, M.O. (2013). Training teachers for virtual classrooms: A description of an experimental course in online pedagogy. In R. Hartshorne, T.L. Heafner, & T.M. Petty, (Eds. ), Teacher education programs and online learning tools: Innovations in teacher preparation (pp. 120-143). Hershey, PA: IGI Global. Kennedy, K. (2016). Recruiting, training, supporting, and evaluating online teachers: Across-case analysis of teaching infrastructure across virtual schools. Retrieved from http://media.mivu.org/institute/pdf/VSLA_TS_full.pdf Kennedy, K. & Archambault, L. (2012). Design and development of field experiences in K-12 online learning environments. The Journal of Applied Instructional Design, 2(1), 35-49. Kennedy, K., Cavanaugh, C., & Dawson, K. (2013). Preservice teachers’ experience in a virtual school. American Journal of Distance Education, 27(1), 56-67. Kerr, S. (2011). Tips, tools, and techniques for teaching in the online high school classroom. TechTrends, 55(1), 28-30. Marek, K. (2009). Learning to teach online: Creating a culture of support for faculty. Journal of Education for Library and Information Science, 50(4), 275-292. Merriam, S.B. (1988). Case study research in education: A qualitative approach. San Francisco, CA: Jossey-Bass. National Education Association. (2006). Guide to teaching online courses. Retrieved from http://www.nea.org/assets/docs/onlineteachguide.pdf Palloff, R.M., & Pratt, K. (2011). The excellent online instructor: Strategies for professional development. San Francisco: Jossey-Bass. Redmond, P. (2011). From face-to-face teaching to online teaching: Pedagogical transitions. Paper presented at Ascilite 2011, Hobart Tasmania, Australia. Retrieved from http://www.ascilite.org.au/conferences/hobart11/downloads/papers/Redmond-full.pdf Rice, K.L. (2006). A comprehensive look at distance education in the K-12 context. Journal of Research on Technology in Education, 38(4), 425-448. Roblyer, M.D. (2006). Virtually successful: Defeating the dropout problem through online school programs. The Phi Delta Kappan, 88(1), 31-36. Rovai, A. (2001). Building community at a distance: A case study. Educational Technology Research and Development, 49(4), 33-48. Stake, R. (1995). The art of case study research. Sage: Thousand Oaks, CA. Wenger, E., McDermott, R., & Snyder, W.M. (2002). Cultivating communities of practice: A guide to managing knowledge. Boston, MA: Harvard Business School Publishing.